Hey there friends. I'd love for you to meet my pretty friend Karissa of Karissa & Co. 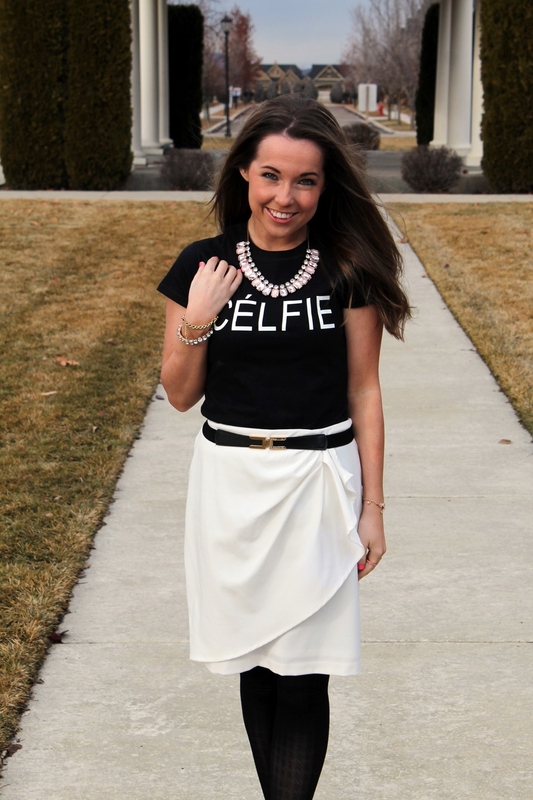 I met her through blogging (duh) and she is the sweetest girl with great style! So backstory... 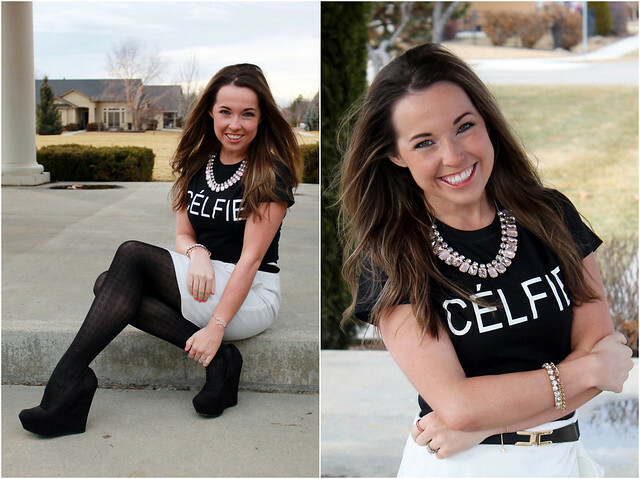 I entered a giveaway & won a couple of "celfie" tee's (you've probs seen them around, like here). Karissa had also entered and didn't win so I decided to give her one (because as much as I like clothes... I don't need two of the same shirt). We were so stoked and decided that we would do a fun collaboration wearing the tees! 2 months later... I finally got them in the mail from somewhere in the UK because they were actually knock offs of the Sincerely Jules ones. They're pretty similar looking though and still fun to style! Such a pretty & dressed up look! And I'm obsessed with her skirt. 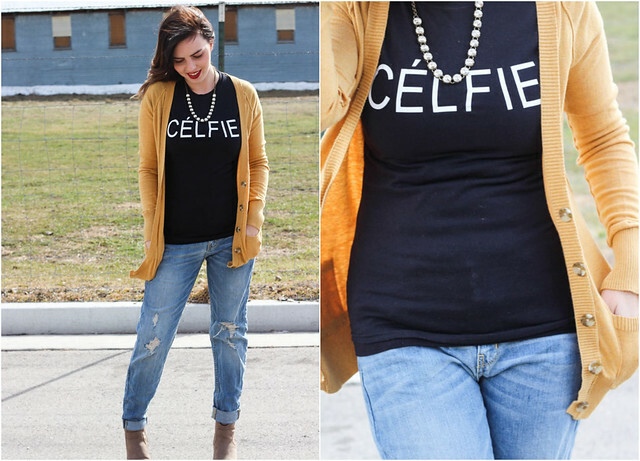 I went with a more casual look including a mustard cardigan and boyfriend jeans! p.s. the wind was OUTRAGEOUS while I was trying to take these... and these are pretty much the only photos I got without hair covering my face. #bloggerprobs. Ohhhhh and did you notice the new blog design! I went for a simple & clean look that was still a little different. Hope you like! 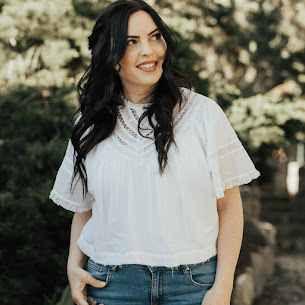 Make sure to check out Karissa's blog for more fun style inspiration, as well as health posts & lots of other fun things! I love both looks, but I think yours is closer to what I would wear. I'm a jeans & cardi girl. That's a great skirt she has, though! 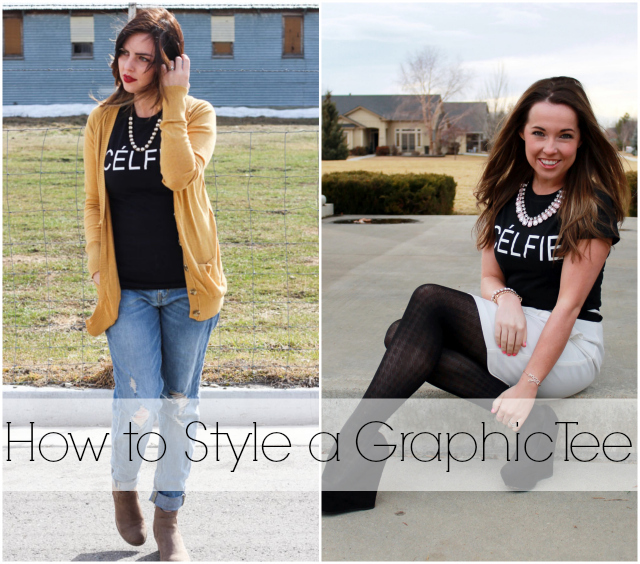 I am a huge fan of the graphic tee. I'm loving both looks and have similar items in my closet right now that I can put together. Hope you are having a lovely day. I'm hopping over from What I Wore Wednesday. you are both adorable & I love how you've made the same t-shirt your own with how you styled it. Two (fabulous) and very distinct looks! I love this post! The ideas and styling are great. I may try a T with a similar cardigan and necklace tomorrow!